Get "just close enough" to an active volcano that glows red from lava flowing down its slopes at night, and billows ash into the heavens during the day. Arenal is Costa Rica's adventure capital where you can hike, ride horses, zipline, rappel, spelunk, paddle or pedal through lush rainforest and tropical rivers and lakes before heading to the volcanically-heated hot springs to soak off your adventures. Just a couple of hours north of San Jose, Arenal is easy to include in a tour package or add on to an existing tour of Costa Rica. Below, we've selected the top ten tours in the Arenal area which can either be part of a larger packaged tour of Costa Rica, or extensions of 1/2 day to 3 full days. 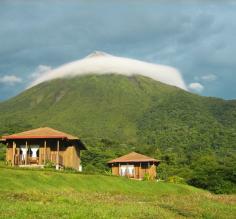 Contact one of our Costa Rica travel specialists for help planning your adventure to Arenal. Explore the Arenal area by mountain bike today. Get your gear & head out on the remote gravel roads near Lake Arenal and Arenal Volcano. You will discover the pristine rainforest and its wildlife. Keep your eye out for monkeys, sloths and native birds. Beginner, intermediate and advanced biking courses are available. Unwind after a long day's adventure as you soak in natural hot springs, heated from the Arenal Volcano. Surrounded by rainforest, the location includes 5 hot pools to soak away the day as well as a fresh water waterfall and a regular pool. There are only two daily time slots and they are limited to 100 guests each. This full-day tour takes you into the rainforest on a 4x4. Then you'll have lunch, get briefed, and hike to the first waterfall. From there, you'll do 4 rappels ranging in height from 165 feet to 45 feet. As you move from waterfall to waterfall you get a chance to explore the rainforest and take pictures along the way. Today you'll enjoy a 2-hour horseback ride through farmland at the base of the Arenal Volcano. This tour includes a combination of riding, hiking and relaxing. After your ride, take a short hike to the base of the La Fortuna Waterfalls to swim and relax in the tranquil pools surrounded by pristine rainforest. Explore narrow passages and underground caves during this half day tour. You will move from chamber to chamber to learn about unique stalactite and stalagmite rock formations and also get a chance to see the famous "La Papaya" rock formation. You'll also learn about the spidersand bats that call these caves home. This 4-hour tour uses the Sky Tram gondolas to get to the popular suspension bridges and canopy ziplines. 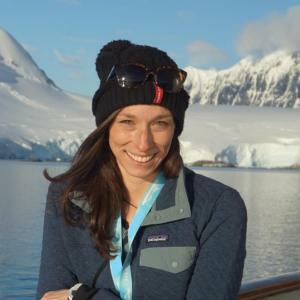 You are accompanied by a bilingual guide who will point out flora and fauna in the ecosystem. 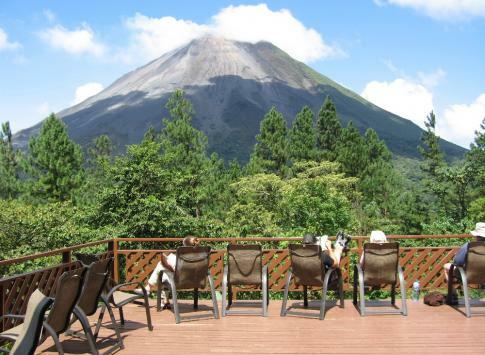 At the top, enjoy magnificent views of volcanoes and Lake Arenal from the observation deck. This hand-crafted 9-day luxury tour of Costa Rica takes you on a thrilling helicopter ride over Costa Rica's volcanoes, then to La Paz Waterfall, Arenal Volcano (and hot springs! ), the rainforest canopy tram, and then to Quepos and Manuel Antonio National Park where you'll actively explore this rainforest paradise. Discover both the Pacific and Caribbean sides of Costa Rica on this 15-day adventure cruise on the National Geographic Quest. Sail through the Panama canal, along the coasts, and explore Costa Rica's Monteverde, a mist-shrouded cloud forest, active Arenal Volcano and sea turtle breeding ground of Tortuguero on Costa Rica's Caribbean coast. A naturalist's dream, this well paced 9-day Costa Rica tour takes you into the Tiskita rainforest, Monteverde Cloudforest, and to the foot of Costa Rica's most active volcano - Arenal! You'll have chances to explore lava flows and go horseback riding, fishing, hiking, snorkeling and surfing along the way. Details of the most recent eruption of Arenal Volcano, a travel destination in Costa Rica. Mountain biking - gear & bikes are provided and routes range from beginner to advanced on gravel roads & trails through the rainforest and around Lake Arenal. Explore the rainforest - hiking, crossing suspension bridges, and 4x4 rides are just a few ways to experience this tropical jungle.